Clarksville, TN – Workers can learn more about the hiring process for hundreds of jobs at the Hemlock Semiconductor, L.L.C. plant in Clarksville at a career fair on October 14th. The company plans to hire 500 full-time workers before the $1.2 billion facility begins manufacturing polysilicon in late 2012. Polysilicon is the cornerstone material used in solar panels. Workers who want to apply for jobs at Hemlock Semiconductor can get information about available positions for production operators, as well as jobs in skilled trades, loss prevention and occupational health. Hemlock Semiconductor will host the career fair from 9:00am to 7:00pm on Thursday, October 14th, at the Montgomery County Civic Center located at 350 Pageant Lane in Clarksville. 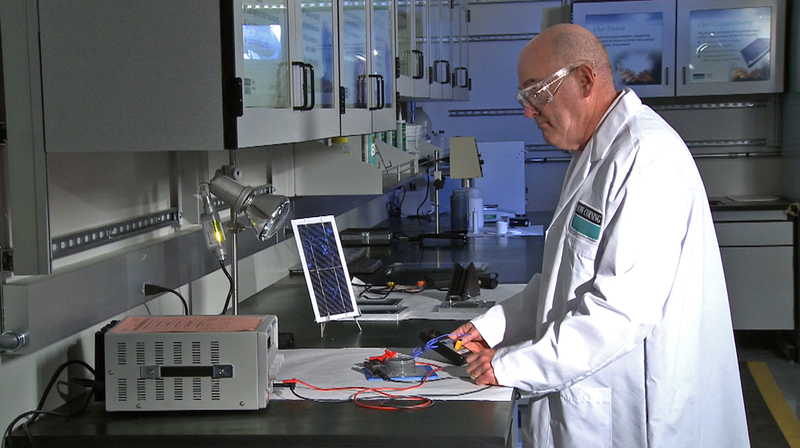 Dow Corning researchers work on next generation solar technologies. Applicants must meet several qualifications to be considered for production operator jobs, which represent the largest number of available positions at Hemlock Semiconductor. Requirements include one of the following types of education and experience: successful completion of the two-year associate degree program in chemical engineering technology at Austin Peay State University (APSU); four years of relevant military experience; journeyman status in a trade utilized by Hemlock Semiconductor; or two years of relevant manufacturing experience. 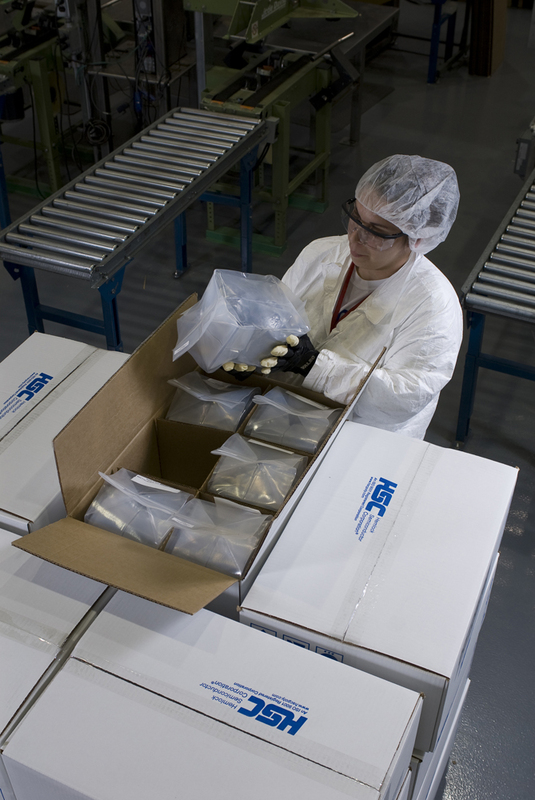 A Hemlock Semiconductor worker packages polysilicon to be shipped to a customer. The first step in applying for a job as a production operator is successful completion of WorkKeys, a series of standardized tests that measure workplace skills. The six exams include math, reading, applied technology, locating information, observation and teamwork. The Montgomery County Career Center is the only location in Middle Tennessee where all six WorkKeys tests are offered. Applicants must earn WorkKeys scores that meet Hemlock Semiconductor standards before submitting a resume online at hscpoly.com. 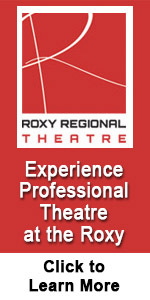 Applicants for production operator positions must also have a high school diploma or GED, be at least 18 years of age and be computer literate. Only after applicants meet the basic requirements for production operator positions, will they be considered for an on-site assessment and interview. Workers who attend the career fair can also learn about jobs at Hemlock Semiconductor in the skilled trades, such as instrumentation and pipefitting/welding, as well as loss prevention and occupational health. Limited information about professional positions will be available, as a separate event for engineers is planned for early 2011. 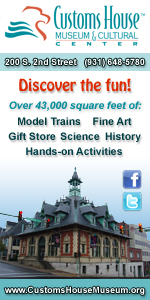 Job openings will be posted at hscpoly.com as the hiring process continues through 2012. Resumes must be submitted online. Representatives from APSU, Fort Campbell ACAP, Tennessee Technology Center, and Workforce Essentials will also participate in the career fair. Workforce Essentials staff can answer questions about WorkKeys testing. 1. Where do applicants apply? 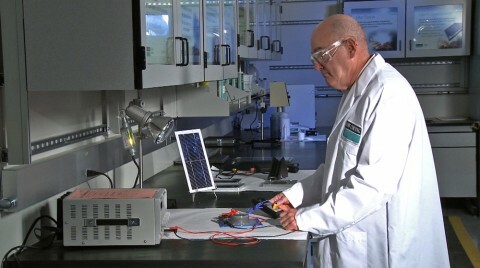 Postings for production operations positions can be found at www.hscpoly.com and www.dowcorning.com/careers. Jobs will be listed only when the company is actively recruiting externally. All applicants are required to obtain certification through Work Keys testing before they apply for a production operations position within Hemlock Semiconductor. 2. What are the steps in the hiring process? Step 2. Credentials are reviewed for qualifications. Step 3. If selected and invited, complete an interview assessment. Step 4. If selected and invited, participate in an on-site interview. 3. What are the minimum qualifications needed for a production operations position? Applicants must have a high school diploma or GED, be at least 18 years of age, be computer literate and successfully passed all six categories of Work Keys testing. They also must have successfully completed a Hemlock Semiconductor approved chemical operator program at Austin Peay State University OR 4 years of relevant military experience OR journeyman status in a trade utilized by Hemlock Semiconductor OR have 2 years of relevant manufacturing experience and successfully passed all six categories of Work Keys testing. 4. What is included on the pre-employment test? Job skill assessments, which are designed to measure foundational and personal skills as they apply to the workplace. Job analysis, which pinpoints or estimates skill benchmarks for specific job positions that individuals must meet through testing. Skill training, which helps individuals boost their scores. 5. Is study material available prior to taking the Work Keys testing? Yes. Self-paced online study materials can be provided to practice for the exam. Contact the Montgomery County Career Center for access to study materials at 931-551-9737 ext. 100. There is no cost for study materials. 6. Where can I test? The Montgomery County Career Center is the only location in Middle Tennessee that offers all six Work Keys tests. Please contact the Montgomery County Career Center in Clarksville at 931-551-9737 to schedule an appointment or get further details on where to test if you live outside the Clarksville area. The Hemlock Semiconductor Group (hscpoly.com) – Hemlock Semiconductor – is comprised of two joint ventures: Hemlock Semiconductor Corporation and Hemlock Semiconductor, L.L.C. The companies are joint ventures of Dow Corning Corporation, Shin-Etsu Handotai and Mitsubishi Materials Corporation. Hemlock Semiconductor is a leading provider of polycrystalline silicon and other silicon-based products used in the manufacturing of semiconductor devices and solar cells and modules. Hemlock Semiconductor began its Michigan operations in 1961 and broke ground at its Tennessee location in 2009. HSC and HEMLOCK SEMICONDUCTOR are trademarks of Dow Corning Corporation. Dow Corning provides performance-enhancing solutions to serve the diverse needs of more than 25,000 customers worldwide. A global leader in silicones, silicon-based technology and innovation, Dow Corning offers more than 7,000 products and services via the company’s Dow Corning® and XIAMETER® (www.xiameter.com) brands. Dow Corning is equally owned by The Dow Chemical Company and Corning, Incorporated. More than half of Dow Corning’s annual sales are outside the United States. Dow Corning’s global operations adhere to the American Chemistry Council’s Responsible Care® initiative, a stringent set of standards designed to advance the safe and secure management of chemical products and processes. Dow Corning is a registered trademark of Dow Corning Corporation. We help you invent the future is a trademark of Dow Corning Corporation. XIAMETER is a registered trademark of Dow Corning Corporation.